A water softener is used to remove calcium, magnesium, dissolved iron, dissolved manganese, and other heavy metals from water, making it soft. 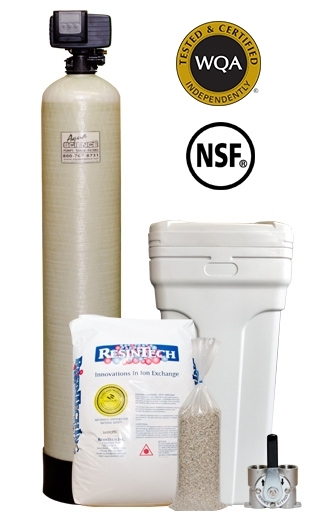 Aqua Science’s water softener systems feature high quality, NSF/ANSI 61 & 44, as well as WQA certified CGS Resin from ResinTech. Other companies will sell this to you as an upgrade! Not sure what size water softener you need? Give us a call at 1-800-767-8731 and speak to a system specialist today! What Size Softener Do I Need? Enter your information below to calculate what size water softener you need.